Dr. Ellahham has served, in past, as Chief Quality Officer for SKMC from 2009-2018. In his role, Dr. Ellahham has led the development of a quality and safety program that has been highly successful and visible and has been recognized internationally by several awards. As Chief Quality Officer and Global Healthcare Leader, Dr. Ellahham has a focus on ensuring that that implementation of this best practices leads to breakthrough improvements in clinical quality, patient safety, patient experience and risk management. Dr. Ellahham is a recognized innovative leader in quality, safety, patient experience, risk management and the use of robust performance improvement in improving healthcare delivery. He serves on several US and international committees and advisory bodies. He is the Middle East Regional Chair of the Patient Safety Movement Foundation. Dr. Ellahham is Certified Professional in Healthcare Quality (CPHQ) by The National Association for Healthcare Quality (NAHQ). He is certified in Medical Quality (CMQ) by The American Board of Medical Quality (ABMQ). He is the recipient of the Quality Leadership Award from the World Quality Congress and Awards and the Business Leadership Excellence Award from World Leadership Congress in 2015. He is one the nominees for Safe Care magazine Person of the Year in the United States. Dr. Ellahham is the recipient of prestigious SKMC Infection Prevention Award in 2011 and 2012. He is recognized worldwide for Excellence in infection prevention and control. Dr. Ellahham is Middle East Representative of the JCI Standards Subcommittee and Member on the Editorial Advisory Board of the Joint Commission Journal on Quality and Patient Safety. He is reviewer of HCAC Cardiac Quality and Safety Standards. Dr. Ellahham has been a champion of the use of Lean, Six Sigma and Change Management to improve healthcare quality. He is Lean Six Sigma Master Black Belt Certified. He is an American Society of Quality (ASQ) trainer in lean and six sigma both green and black belt. He was the Leader of the First Pilot International Robust Process Improvement (RPI) project by the Joint Commission Center for Transforming Healthcare and several other similar successful performance improvement projects at SKMC. He is Lead Trainer in TeamSTEPPS Lead Trainer. Dr. Ellahham is certified as EFQM 2013 Model assessor and is leading EFQM Excellence Model at SKMC with great success including winning the prestigious Sheikh Khalifa Excellence Award in 2014, Dubai Quality Award in 2015 and Sheikh Khalifa Excellence Golden Award in 2015. Dr. Ellahham is the Executive SKMC sponsor of the American College of Surgeons National Surgical Quality Improvement Program (ACS NSQIP®) the leading US validated, risk-adjusted, outcomes-based program to measure and improve the quality of surgical care. SKMC is the first multispecialty ACS NSQIP center outside the US. Dr. Ellahham led the publication of, first in the region, annual SKMC outcome books since 2011. He is a strong believer in transparency in health care and external reporting. Dr. Ellahham is a Board-certified internist, cardiologist and vascular medicine senior consultant and continues to care for patients. He received his undergraduate degree in biology and his M.D. from the American University of Beirut, Beirut, Lebanon. Dr. Ellahham did his fellowship in Cardiology at the Medical College of Virginia (MCV) in USA. After completing his fellowship, Dr. Ellahham worked in Washington DC in several clinical and leadership positions before moving to UAE in 2008. He led the First AHA GWTG Heart Failure Initiative outside US and was the recipient of the AHA GWTG Award in Wash. DC. He is the champion of the AHA GWTG in the region. Dr. Ellahham continues to be an active clinician. He is board certified in internal medicine, vascular medicine, cardiology and quality. He was recently recertified in 2017 by the American Board of Cardiology (ABIM). He demonstrated great skill and experience in the management of patients with heart failure, ischemic heart disease, and valvular heart disease and led a multi-disciplinary team in the care and delivery of advanced therapies to these patients. He has unique abilities to partner and engage local and regional referring providers. He can work in a highly matrixed environment, possess strong leadership and organizational skills and have experience to working effectively in a large health system. He is a fellow of the American College of Cardiology and key member in Heart Failure and Transplant, Adult Congenital and Pediatric Cardiology, Cardio-oncology and Peripheral Vascular Disease Sections. He is currently Cleveland Clinic Staff and caregiver seconded in Abu Dhabi, UAE. Dr. Ellahham is a fellow of the American College of Cardiology, American College of Chest Physicians, American College of Physicians, and American Heart Association. Dr. Ellahham is a Distinguished Fellow of the New Westminster College in British Columbia, Canada. 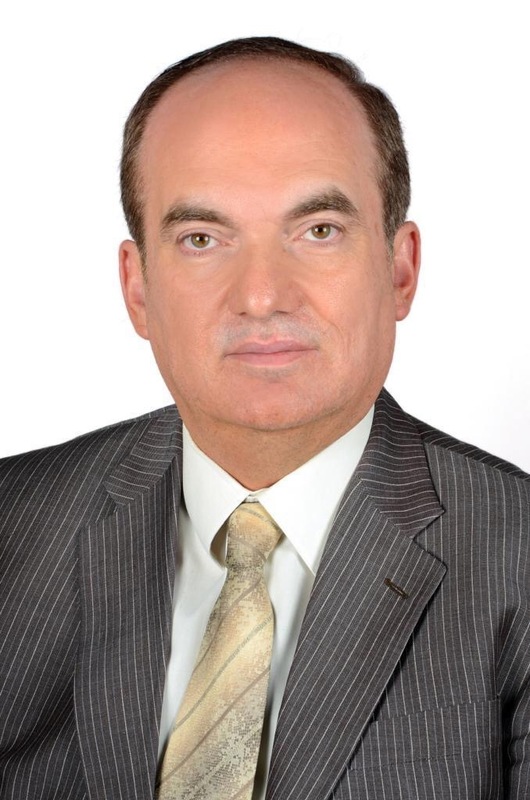 Dr. Ellahham is an avid researcher; his research includes innovation, digital healthcare solutions, telemedicine, block chain, patient experience and engagement, lean six sigma, change management, innovation, safety, risk management, KPI management, safe surgery, heart failure, molecular biology, genetics, cardiac imaging, sports and nutrition. He is a recognized world-leader in these fields. He is the Eminent Editor of the Journal of Cardiology & Cardiovascular Therapy. In addition, he serves on the editorial board of American Journal of Medical Quality, Developments in Clinical & Medical Pathology (DCMP), the Joint Commission Journal on Quality and Patient Safety, Telehealth and Medicine Today (TMT), Blockchain journal (BHTY), Medical Science, Open Journal of Cardiatic Research, UPI Journal of Pharmaceutical, Medical and Health Sciences (UPI-JPMHS, Open Access Research in Anatomy, Gerontology & Geriatrics studies and Open Access Journal of Clinical Trials, Hypertension Today Journal and Focus on Hypertension Journal. He is also a reviewer for several peer-reviewed journals, including American Journal of Medical Quality, Joint Commission Journal on Quality and Patient Safety, International Journal of Quality & Reliability Management, the Journal of American College of Cardiology, the American Heart Journal, Annals of Internal Medicine, Archives of Internal Medicine, Chest, Circulation, Clinical Cardiology, Chest, Lancet ,Diabetes Care, Archives of Internal Medicine, Endocrinology and Metabolism, European Journal of Heart Failure, Congestive Heart Failure Journal, Journal of Nuclear Cardiology, the Journal of Transplant Coordination, the Journal of Cardiovascular Pharmacology and the Southern Medical Journal, European Journal of Innovation Management and The Anatolian Journal of cardiology. He received several research awards including the DuPont Pharmaceuticals Research Award, ACCP 58th Annual Scientific Assembly, Young Investigator Award; the Alfred Soffer Research Award, ACCP 58th Annual Scientific Assembly, Finalist; the First Young Investigator Award 12th, Annual Meeting of the Mediterranean Association of Cardiology and Cardiac Surgery, and the American Heart Association Get with the Guidelines Award. Dr. Ellahham is passionate about innovation, telemedicine, blockchain, public health, future health and healthy lifestyle.